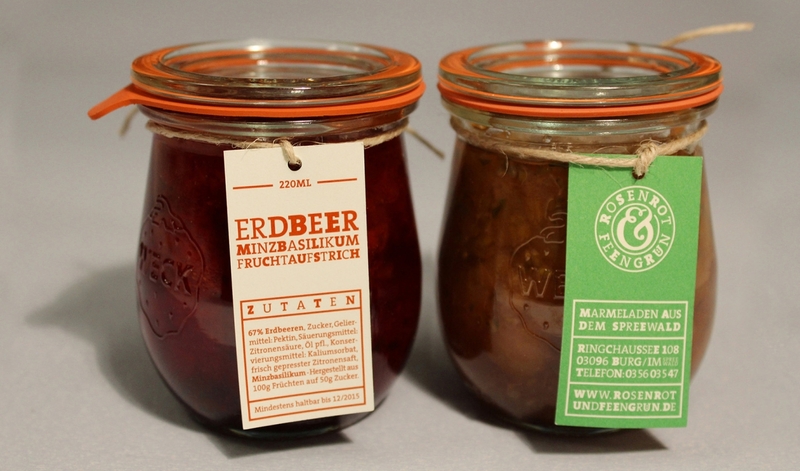 Corporate Design for the manufacturer of jelly ROSENROT & FEENGRÜN from the rural area Spreewald. 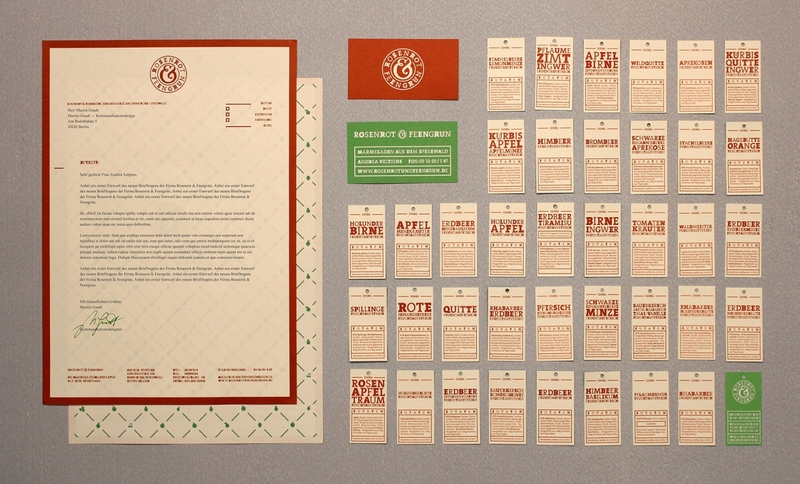 Based on the cooking process of jelly or jam, the blending of different flavours and ingredients, the idea was to show this process of adding up simply by using the ampersand of the companies name. Correlating to that, the typography also plays with black, bold and regular cuts to emphasize the blending idea. 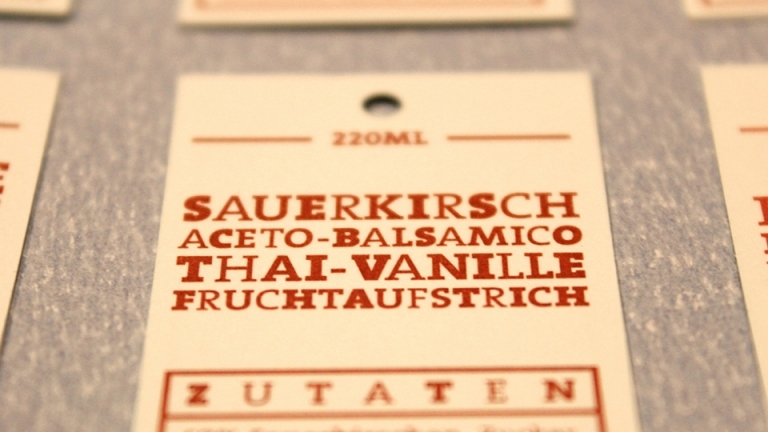 The hangtags for the jelly-jars vary from fine and discreet to bold and strong designs. 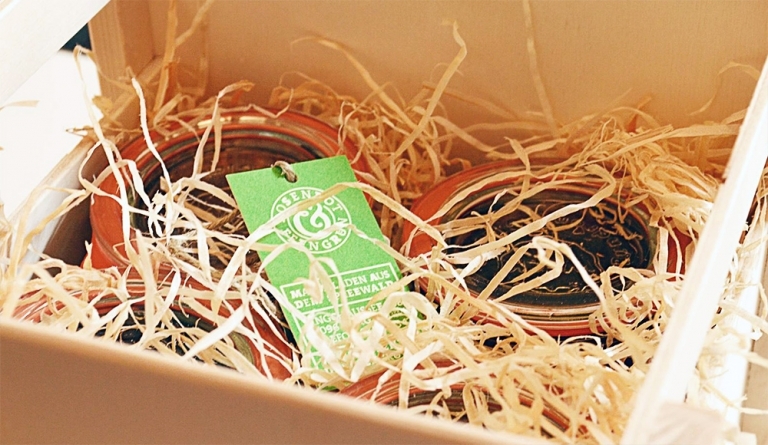 More than sixty diverse and very delicious kinds of jelly are being sold at organic markets, delicatessen and luxury hotels. Every kind got its own face, but still integrates itself harmonically into the jellyfamily. 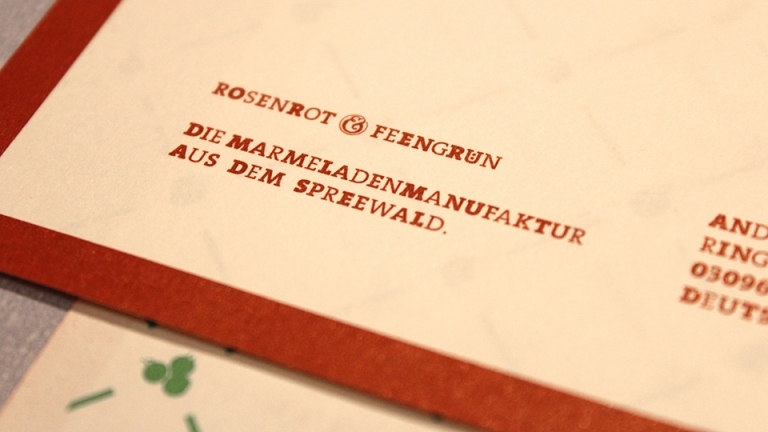 You can find the Rosenrot & Feengrün Store at Sredzkistraße 29 at Prenzlauer Berg Berlin. With free tasting of over 70 different flavours.